Pretty Cure Dream Stars! (プリキュアドリームスターズ！ Purikyua Dorīmu Sutāzu!?) is the first crossover film in the Pretty Cure Stars movie franchise featuring all of the current Pretty Cure characters from Go! Princess Pretty Cure onward. It is the 22nd movie overall in the Pretty Cure movie series. It was released in theatres in Japan on March 18th, 2017. 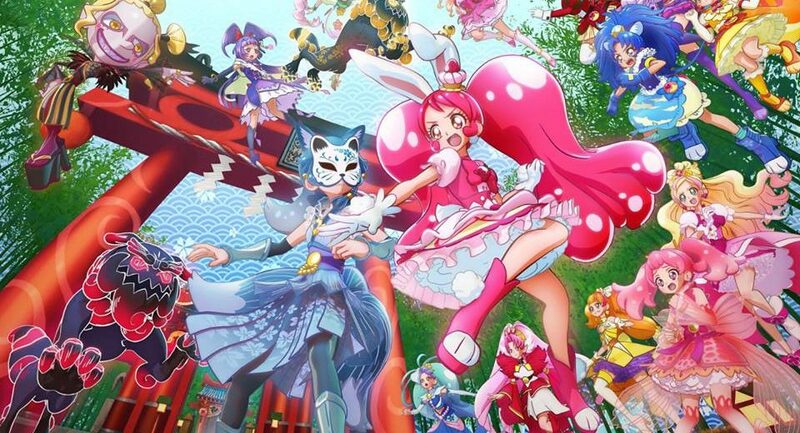 The KiraKira☆Pretty Cure A La Mode characters make their movie debut. Synonyms: Eiga Precure Dream Stars!